Welcome to the Smithfield High School JROTC Battalion website. ​Thank you for visiting our website to learn some information about us. My name is Ryan Willis, and I am the current Packer Battalion Commander. As a member of the Varsity football team and J.R.O.T.C. Drill Team, I am dedicated and motivated to promote the wellness and productivity of our program. The idea of combining military training and education began in 1820 with Captain Partridge who founded West Point. Eventually, this combination was extended to High Schools as well. In 1916 the Congress of the United States saw a need for a leadership building program and installed the National Defense Act of 1916. The first JROTC program officially opened in 1917 in Leavenworth, Kansas. Later, in 1964 JROTC was expanded from Army to all branches. In 1973, girls were allowed to join JROTC as well, and since then girl have grown to make up 40% of the Corps of Cadets. ​This site‘s purpose is to keep you up to date on recent and upcoming events, inform you on how our Battalion is doing, provide information on the Corps of Cadets and contact information. 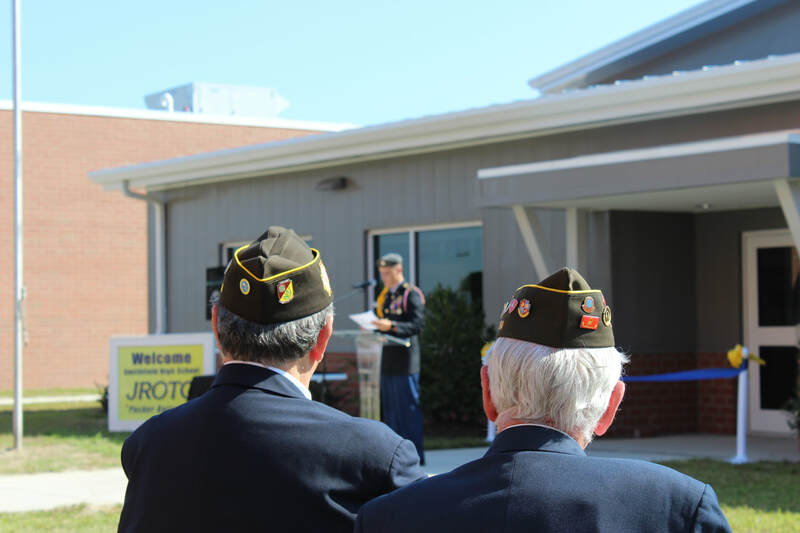 The mission of Junior Reserve Officers’ Training Corps (JROTC) is to motivate young people to be better citizens. This program gives the student an opportunity to develop in many ways. We use military skills to teach self-discipline, confidence, and pride in a job well done. Army JROTC is active in more than 1,460 high schools worldwide: in all 50 states, the District of Columbia, Asia, Europe, and the Caribbean. Contrary to popular belief, the program is not designed to steer students toward a military career. Our objective is to teach young people to maximize their potential and talents. Army JROTC can prepare our young people for life by providing a framework for the qualities (skills, knowledge, and positive attitudes) that will help them succeed. It helps enhance qualities such as courage, candor, competence, commitment, and character. 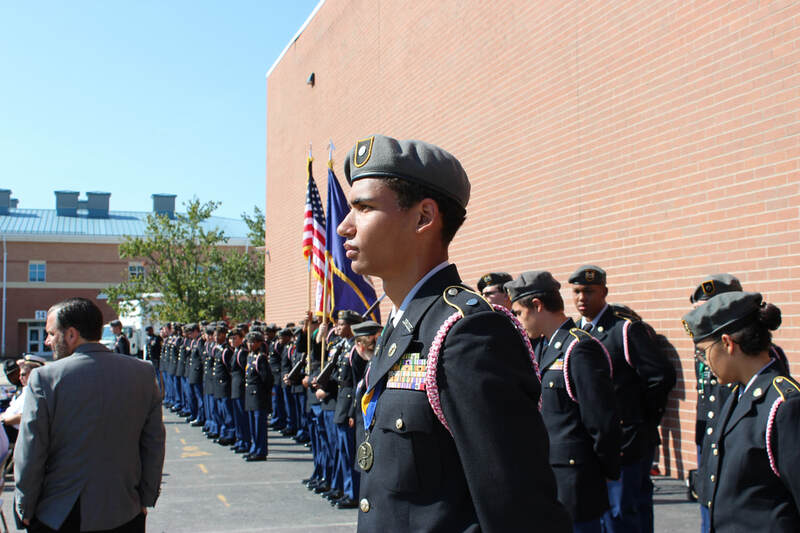 JROTC offers many opportunities for teamwork, advancement, and self-enrichment. By enrolling in Army JROTC and joining the ranks of millions of other cadets who know & practice the meaning of success, our young people will be taking the first step towards a promising future. Smithfield's JROTC program has been ranked the highest as a honor unit with distinction, and even has a drill team competing at states! Many people in the community have witnessed JROTC's Packer Battalion outstanding performance. On February 20th, Old Dominion University asked Smithfield's drill team to do a color guard and half-time show! Overall, the Packer Battalion is constantly improving themselves and adores all recognition awarded to them.